Primarily Italy means FOOD! We propose a Mediterranean vegetarian menu and quality local wines. In this area home-made pasta is a real art and for this reason we will invite Adele, my mother to show you how to make it and cook it. And of course we will have a special dinner all together. 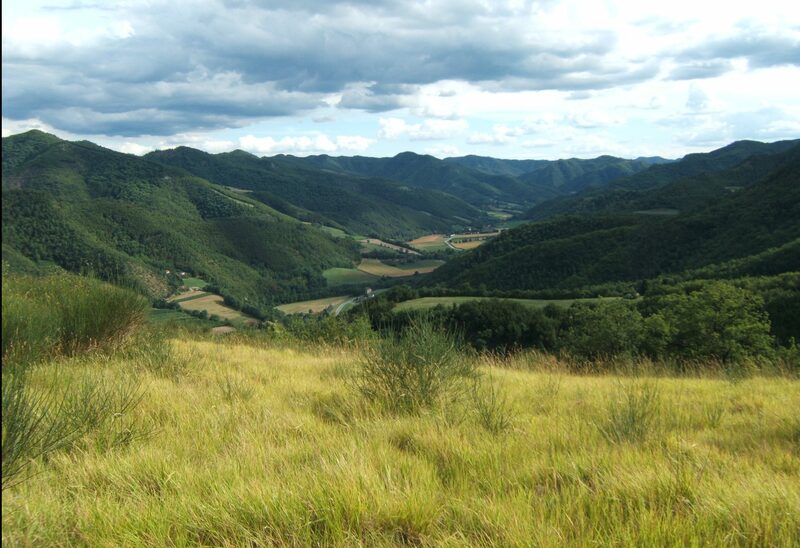 Our main trekking area will be the Gypsum Regional Park, a few kilometers from Porcaticcio. Watch this video made by Cornelis to get an idea of the park. 1. Dozza, Imola 10h to 13h to see the mural paintings and the castle with its precious Regional Winery in Dozza and take a look to Imola center. 2. Brisighella, Faenza 10h to 13h to visit the medieval cosy village of Brisighella and the market in Faenza center. If you already paint or sculpture or if you’d like to try, Cornelis will be pleased to support you!